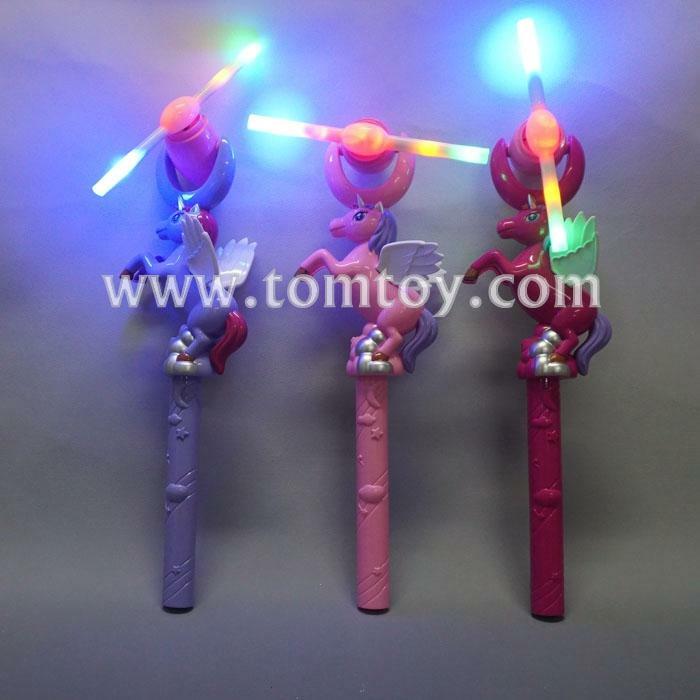 1.LED Unicorn Spinner Wand is absolutely perfect gift for Unicorn Theme parties and many occasions. 2.Come with two red one blue one green one yellow led light. 3.Easy to use,press the ON/OFF switch on the handle,it starts spinning. 4.Three pieces AA batteries are included and installed. 5.Created more funny to kids and adults.